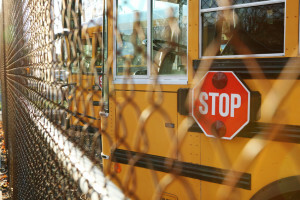 For schools, security fencing and gates have two main purposes. The first is to keep out intruders and the second is to make sure children can’t leave except through the proper channels. Reducing truancy is important and part of this goal is making it harder for students to just jump a fence and run off. Even among students who don’t intend to skip out, proper fencing prevents them from wandering off school grounds during recess or other outdoor periods. Schools are supposed to be safe learning environments and chain link fences can be part of how this is accomplished. Why Chain Link for School Fencing and Gates? Chain link fences are able to accomplish all of these goals with ease. Although many people likely have memories of scaling chain link in their youth, the size of the holes in the links can be adjusted to resist even the smallest-handed climber. Chain link is a durable, all-weather material that needs almost no maintenance and can be designed to offer durability and ‘bounce’ to both deflect and protect from impacts. In the event that a fence portion does need to be replaced, chain link fences can be quickly and efficiently repaired with minimal fuss and disruption with only the damaged section getting removed and replaced. When cleaning ends up being called for, soap and water will do just fine. Chain link also comes in various designs that can make the fencing seem as much a part of the neighborhood as a school building and prevent any unwanted intimidation. Chain fences are also very versatile and can come in varying heights and thicknesses for extra customizability. For instance, you may want to make any fencing near a baseball diamond taller to catch errant balls. Chain link is also easy to move and adjust after being installed in case you require changes or additions down the line. Total Fence Inc. has the knowledge, expertise, and talented fencing contractors to help Toronto-area schools find and install the most secure and durable chain link possible. As the leading fencing company in Toronto, we can give you the most effective evaluation, most precise and affordable estimate, and lend our expertise for more detailed fencing work, like creating separate customized enclosures within the main perimeter. Contact us at 416-239-5362 to speak with a consultant and learn more.